The second option is Station. Name of Station type All trains arrive at the station within two hours will be displayed. If you wish to travel in the particular train, click on that train running status of the train will also be available. The third option is to train between stations, with which this information can be obtained so that train service between the two stations are in 24 hours. Re - schedule and diverted trains running from Route options are given for information. Apart from express and superfast trains this site also tell information about passengers Trains, which inculde commuters who travel by shuttle trains . 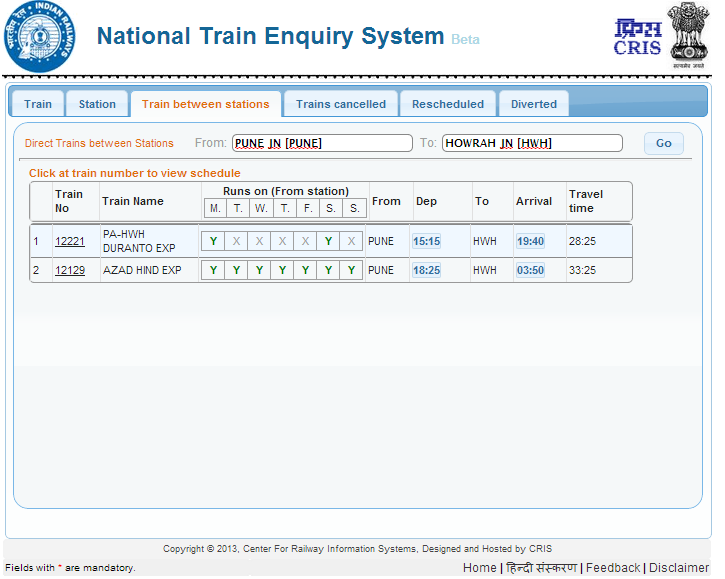 It will also tell you status of the shuttle trains. It will tell you number of coaches in shuttle so that the passenger can stand on the platform according to their coach position. This particular information is not available on any existing website.